Zhanghongyan Music and Culture Class, July 22. Green Music Salon is now newly named "Zhanghongyan Music and Culture Class", which aims to promote the Chinese traditional culture. It’s a public-beneficial activity to provide an opportunity for music tasting and education. Every time specialists from cultural and musical fields are invited to explain and discussion the Chinese traditional culture, including history, tradition, music and other subjects. Prof. Zhang Hongyan from Central Conservatory of Music (CCOM) has become our long-term distinguished host. She recently has been cooperating with many world famous symphonies and devoting to music promulgation, from which the speech of “Playing while explaining” has always been organized before the performance. Green Music Salon has been developed for nearly 2 years, during which we get together in many weekends, to listen to music played by these musicians with Pipa, Bamboo flute, Erhu, Ruan and other Chinese traditional instruments, to learn the essence of Chinese culture. Every time, we can get abundant achievements, with happiness and gratitude. First section is named “Culture Salon”, among which different exports introduce Chinese folk music with performance or contents on Chinese culture and history. 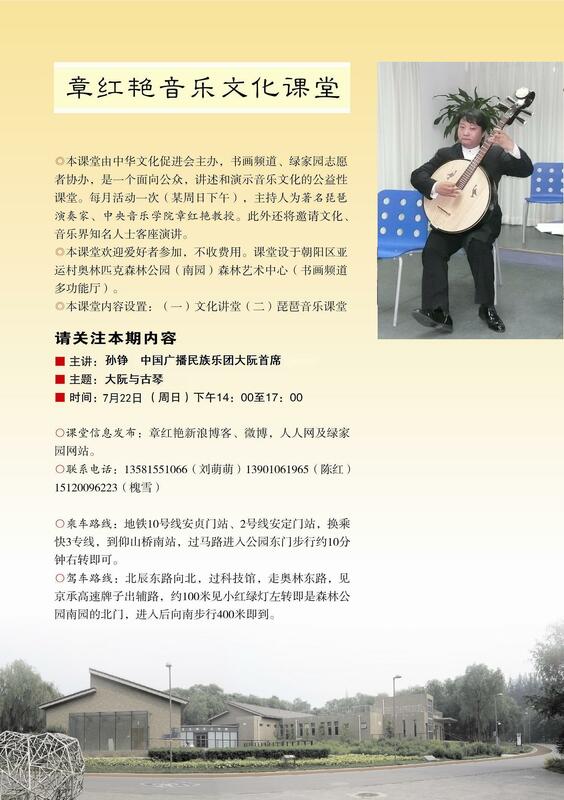 1 Second section is “Pipa Class”, Prof. Zhang Hongyan will teach you how to play the instrument. 1. Introduction of chamber music. 2. Daruan and Guqin Music Appreciation. Part Two. Pipa Class: Prof. Zhang continues to guide you how to play Pipa. Please bring your Pipa, and let’s study together! 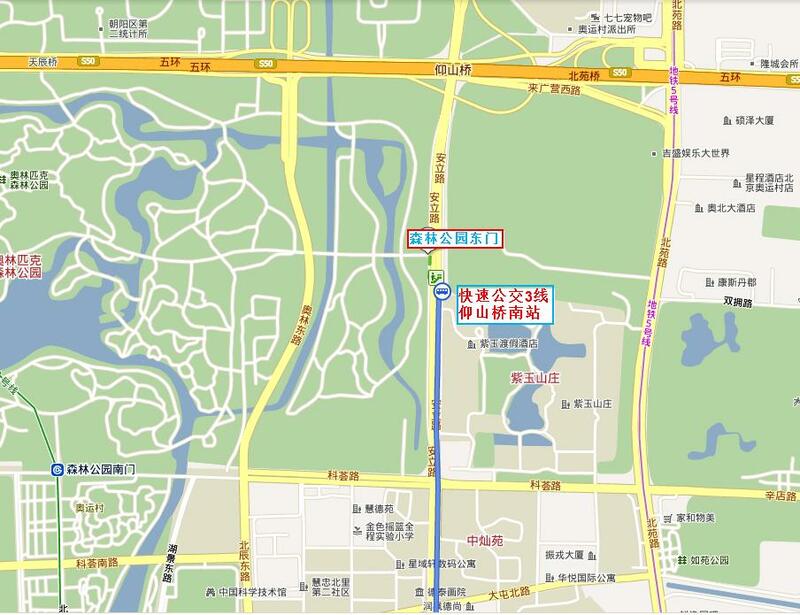 Venue: Calligraphy and Painting Channel of ChineseCulturePromotionSociety（CCPS）, which lies in the Forest Art Center in the south Olympic Forest Park, Olympic East Road, Chaoyang District,Beijing. Please see the Map below. If you have any enquiries, please call the Green earth volunteers at: 84039930，13901061965.